Silver India style nose jewelry. A beautiful ornate sun design. 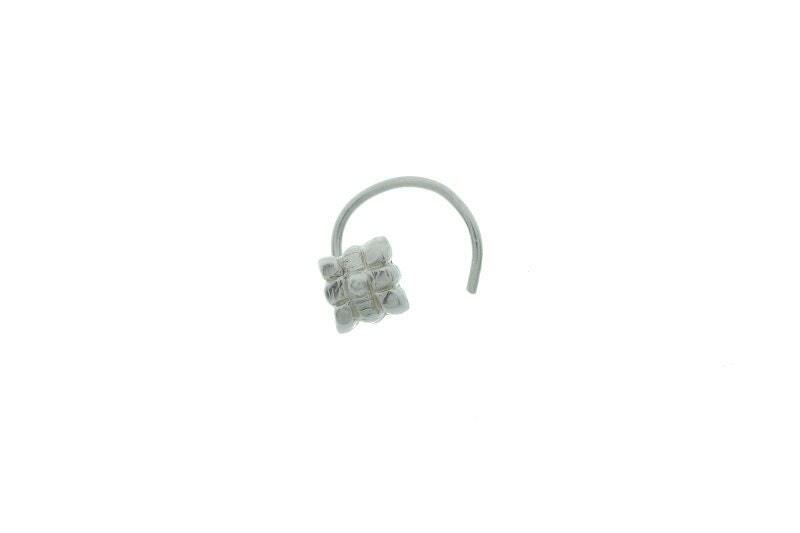 This nose stud is a handmade piece. The metal is solid sterling silver. 925. Measurements: Length: 1/8"; Width: 1/8"